What a time to be alive. The amount of activity surrounding the 50th anniversary of the Star Trek fills me, and I imagine each of you, full of geeky joy. All the television coverage, interviews, magazines, books, and conventions – not to mention the release of Star Trek Beyond and the upcoming debut of Star Trek: Discovery – delights me to Stovokor and back. September ’16 reminds me an awful lot of the Summer of ’94 when TNG ended its run. The flurry of activity surrounding that finale, the upcoming release of Generations, the third season of DS9, and Voyager‘s debut was almost overwhelming for 12 year old me (almost). 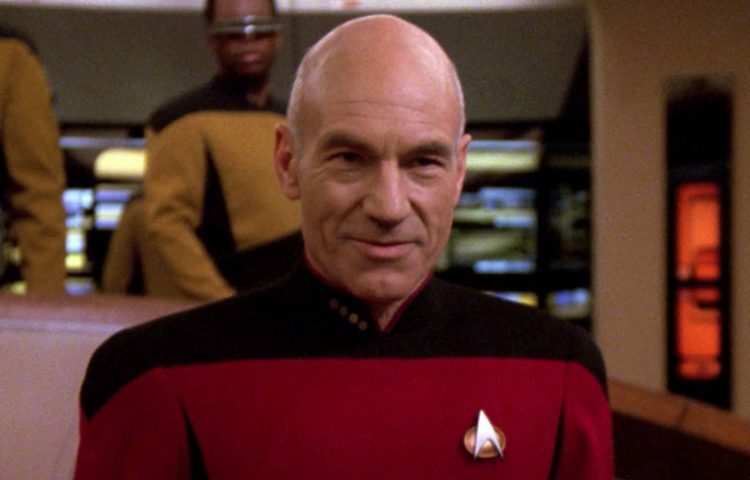 With all this attention come the obligatory lists and rankings of best Trek episodes. It seems that every amateur and professional media outlet currently has a definitive list of episodes. 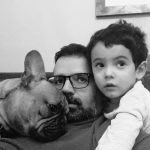 When the five series debuted on Netflix UK this past July, I wrote a blog entitled “5 Often-Overlooked Star Trek Episodes You Should Watch Again.” Given the plethora of rankings filling up our Twitter feeds, I thought now would be a good time to revisit more of Trek’s deep cuts – those episodes that rarely make it on those best of lists. So hold on to your butts, geeks! Below are five more episodes that are often overlooked, one from each of the live-action series. Since Bryan Fuller revealed that Discovery would be set 10 years before the Enterprise’s original Five-Year Mission, many have wondered if the new series would take place against the backdrop of a key moment in Trek lore (Axanar, the Romulan War, etc). A few fans have speculated that Discovery would tackle the Tarsus IV massacre. Tarsus IV was a stain in early Federation history and a defining moment in James T. Kirk’s life. While I don’t think that Tarsus IV will be integral to Discovery’s plot, ever since reading this theory, I found myself thinking about “The Conscience of the King,” a fantastic and always overlooked classic Trek episode. “The Conscience of the King” comes early in Star Trek’s first season. While the show was still finding its footing, this episode, which plays out as a murder mystery, goes a long way into establishing classic Trek motifs (e.g. Kirk’s womanizing, the franchise’s half-century long love affair with Shakespeare, etc.). Shatner is given some good material here. 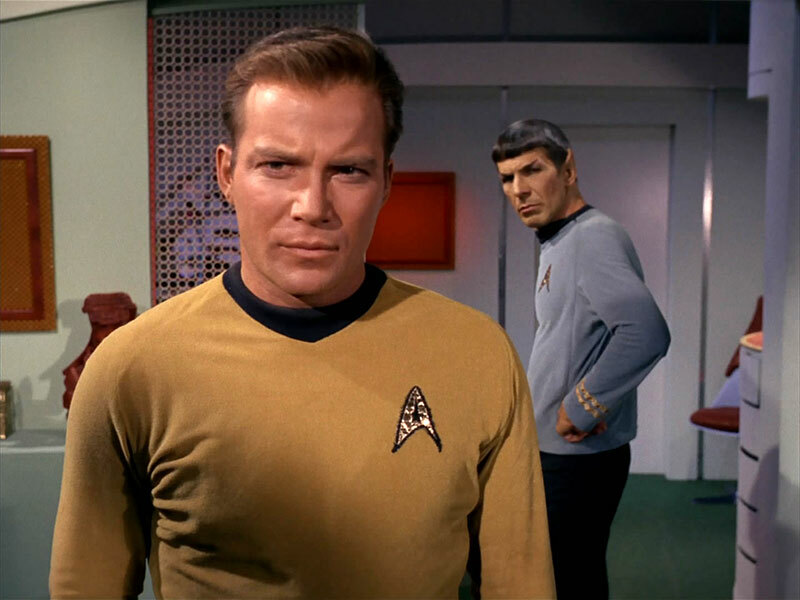 The episode complicates the Kirk character – the trauma of Tarsus IV had a clear impact on our Captain – and puts his rigid, “don’t question my authority” command style front and center. This episode also has some truly vibrant moments between the show’s big three characters, moments that highlight Kirk, Spock, and McCoy’s relationship as well as the chemistry between the actors. These scenes are great to watch, especially when you know how these relationships go on to evolve and deepen. A true gem, “The Conscience of the King” is worth another look. “Cause and Effect” is Star Trek’s answer to “Groundhog Day.” While exploring an uncharted region of space, the Enterprise-D gets stuck in a “temporal causality loop.” In plain English, our crew is stuck reliving the same day over and over again. 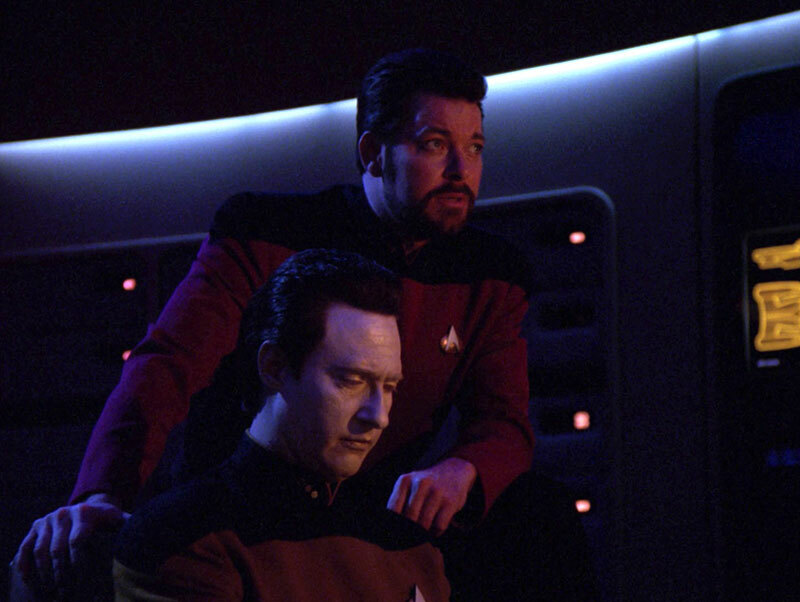 Beautifully written by Brannon Braga and masterfully directed by Jonathan Frakes, “Cause and Effect,” despite its premise, never feels repetitive; they never reuse any footage, each version of each scene was shot differently. The episode is cleverly structured and edited. Each time events are repeated, you see the characters get closer and closer to a resolution – the hour effectively builds towards a gratifying and engaging crescendo. “Cause and Effect” is a fantastic episode of TNG, one that sticks in your mind and is worth revisiting again and again. If you haven’t done so, listen to the audio commentary on the TNG Blu-Ray set with Brannon Braga and Family Guy’s Seth McFarlane – you won’t be sorry! 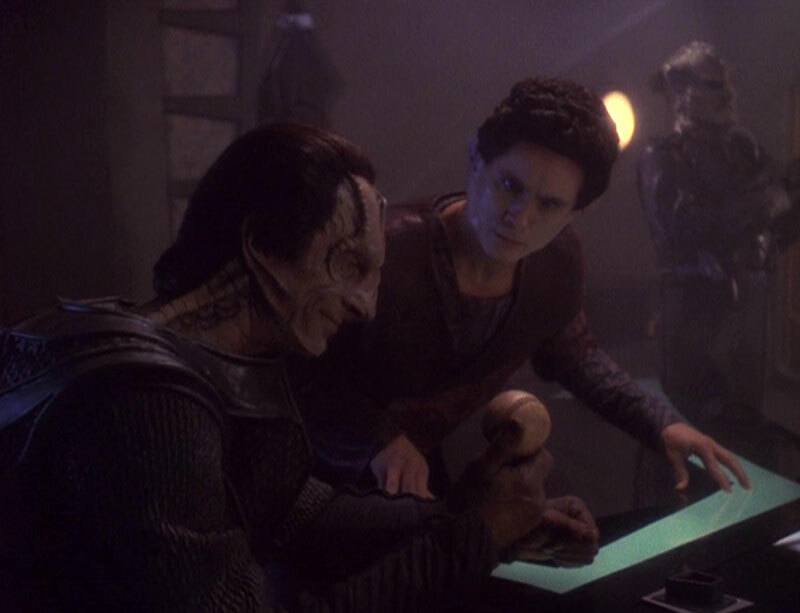 “Call to Arms” is the cornerstone episode, the zenith of the entire Deep Space Nine story – it takes three full seasons to get to this point (Seasons 3 through 5) and it takes two seasons (Seasons 6 and 7) for everything to be resolved. So much happens in “Call to Arms,” in terms of character and story development, that I can’t list everything: Dukat retakes the station, Rom and Leeta get married, the Federation mobilizes for war, the Bajorans and the Romulans sign non-aggression pacts with the Dominion, Dax and Worf get engaged, Garak lets down his defenses, and the list goes on. The fact that no part of the episode is ever rushed or forced, speaks volumes of the abilities of Ira Steven Behr, Ron Moore, Robert Hewitt Wolfe, and the rest of the DS9 writers. “Call to Arms” is a dynamic hour of television. It is ultimately a story of hope against the odds. The episode propels DS9’s meta-narrative forward, all while skillfully deepening the arcs of many of its characters. In brief, “Call to Arms” is Star Trek at it’s very best. I’m cheating a little with this one. What I love about “Pathfinder” is that it’s more of an auxiliary episode of Next Generation rather than an hour of Voyager. “Pathfinder” is an enjoyable episode that highlights how big the Trek universe really is. Star Trek has always been much bigger than any one series and “Pathfinder” really accentuates this. We tend to credit Marvel Studios with creating the shared cinematic universe, but let’s be honest folks, Star Trek was doing it decades before. “Pathfinder” stars Lt. Reginald Barclay, not any member of Voyager’s crew. The episode picks up exactly where we last left Mr. Broccoli, I mean Barclay; it continues story threads – Barclay’s holo-addiction and social anxieties – that were introduced on Next Generation years before. Most of “Pathfinder” is a therapy session between him and Counselor Troi (who’s Barclay’s perfect foil). The affection that the writers have for the Barclay character really shines through here. Despite having his quirks and flaws always get the best of him, it’s Barclay who goes home the hero by establishing contact with Voyager (a key plot point seasons in the making). The actor Dwight Schultz effortlessly slips back into Barclay. Schultz always managed to make Barclay both loveable and awkward – in lesser hands, Barclay would have been cringe worthy. “Pathfinder” is a great TNG / Voyager hybrid that reminds us just how big the Trek universe really is. I have a real soft spot for this episode. It’s not Enterprise’s finest hour but man is it fun to have Ethan Phillips, Jeffrey Combs, and Clint Howard return to Trek. This time around they play over the top, mumbling Ferengi – Ferengi, that in the mold of Quark and Rom, can’t seem to do much more than bicker. In this particularly permutation, four Ferengi put the crew, all except for Trip who happened to be in the decontamination chamber, to sleep so they can ransack the NX-01 of anything they deem of value. 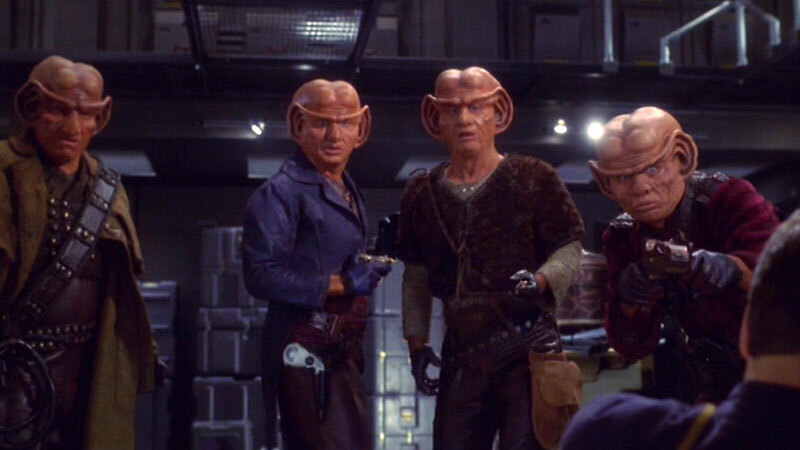 Trip – in his underwear (that part is new) – leads our thieves on a wild goose chase around the ship, eventually enlisting Archer and T’Pol to outsmart the Ferengi. This episode is peppered with fun details: they actually never say the word ‘Ferengi,’ the universal translator isn’t used throughout, the animals in Phlox’s sickbay get riled up, the number of Rules of Acquisition at this point in Trek history are different, the stealing of the ship’s plaque, etc. Come to this episode for the scene between the Ferengi and Porthos and stay for the Ferengi energy whip (not seen in action since the first season of TNG, boys and girls)! While a clichéd Trek episode, “Acquisition” is a totally enjoyable hour of Enterprise, an hour that, thanks to our guest stars, will have you smiling from ear to ear.